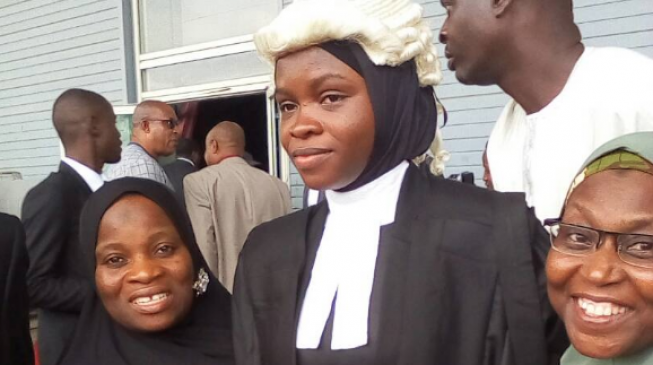 A Nigerian law graduate has finally been called to the bar months after she was blocked from attending the ceremony for insisting on wearing a hijab. The Ilorin University graduate wore a wig on top of her headscarf at Tuesday’s ceremony for 1,550 students in the capital, Abuja. The Muslim Students’ Society of Nigeria welcomed the news of her graduation, saying the Nigerian law school “has shown enough maturity”. Blocking Ms Firdaus’ graduation “would have been a breach of her right”, it said.